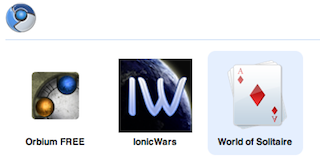 One of the big announcements at this year’s Google I/O was that a new Chrome Web Store was being built. Think of it as Apple’s App Store or the Android Market but for web apps. 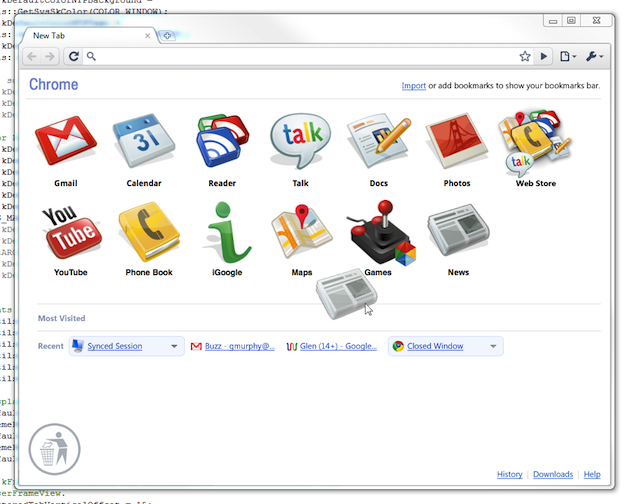 In it, you’ll be able to purchase (or download for free) and install apps that can run in Google’s Chrome web browser. Google would only commit to the store and apps being ready “later this year,” but work on app compatibility for Chrome progressing quite nicely. Builds of Chromium (the open source browser behind Chrome) have actually been able to run early apps for weeks now. The ability is still hidden behind a flag, but if you go here you can figure out how to turn on the functionality. As you can see in the screenshots below, these builds allow you to install apps (you can find some here) that then reside on your main “Most visited” Chrome page (the one with web page thumbnails for sites you often visit). From here, you can click on any of these apps to launch them in a new pinned tab. 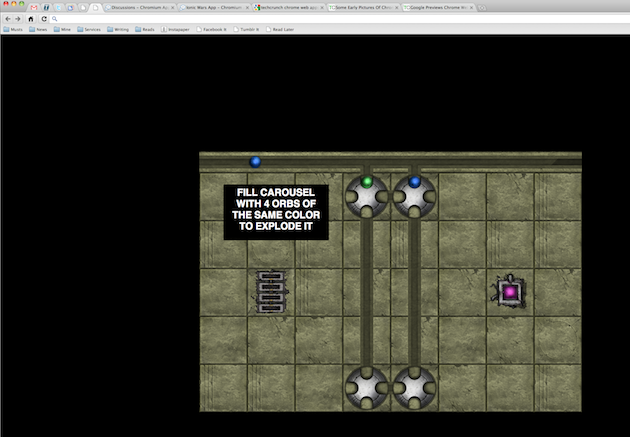 Obviously, this isn’t as simple as it’s going to be with the full Web Store in place. But it’s still not too bad either. Clicking on a link to an app brings up a prompt to ask if you’d like to install it — just like you get when you install a Chrome extension. An overlay at the top of the browser then lets you know when the app is installed. Eventually, it looks as if installed apps will have different looking tabs than regular pinned web pages (for now they look the same). It also looks like the UI for these apps will be a lot nicer by the time things launch, and there will be an easier way to delete apps from the page they reside on (see bottom image). One quick note: the latest builds of Chromium for Mac appear to have the way to get to apps disabled. So you might want to try an older version from early June. At least one thread warns that apps might be available on the Windows versions of Chrome first, and Mac and Linux later.